Inbound marketing, content marketing, digital marketing: These are just some of the types of marketing businesses do online today―but it can be confusing to figure exactly what all of these terms mean. So what exactly is digital marketing? As a broad definition, digital marketing encompasses all activities a business does online to market their products, services, or company. In practice, there’s a lot that goes into a digital marketing strategy. Let’s dig in and find out about the different elements of digital marketing. 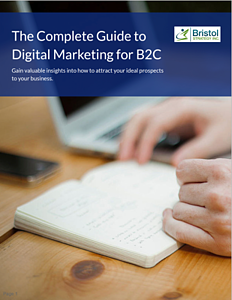 In the "Getting Started with B2C Digital Marketing" section, learn how to put it all together for your business. Get your copy now to enjoy offline by completing the form to the right. Search engine optimization is a series of tactics designed to rank your website as highly as possible in search results pages (which, as you may have guessed, most often refers to Google). A dedicated, consistent approach to SEO is crucially important—Google alone handles more than 2 trillion searches per year. What’s more, the “winners” in search engine rankings—in other words, the sites whose content appears in the spots in Google’s search results pages (and especially the first spot)—take home a disproportionate piece of the organic traffic pie. Don’t rank on page 1? As unfortunate as it is, you may be out of luck (though the good news is, there are SEO strategies you can implement to improve your placement in the search results). There are many factors that can impact a site’s ranking, from the website’s content itself to behind-the-scenes technical factors. 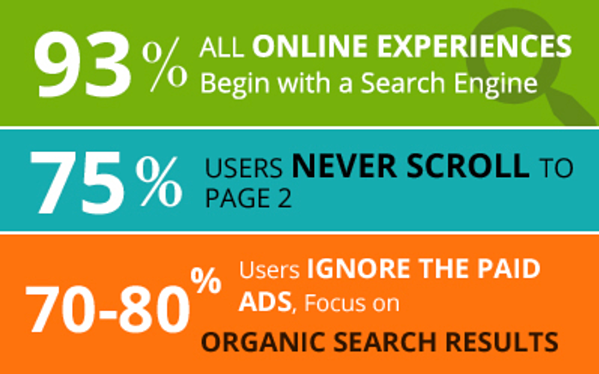 And Google’s algorithm changes constantly, all in the goal of constantly improving the user’s experience. One thing’s for sure: Even if you aren’t on social media, your customers sure are. In fact, according to data gathered by HubSpot, more than 3 billion people around the world use social media, while 96 percent of people talking about brands and companies on social media aren’t actively following those businesses. Depending on your type of business, you’ll likely find that specific social media platforms are a more natural fit for you than others. For example, if you sell a highly visual, consumer-oriented product, Instagram is a great option that typically offers very high levels of engagement, while LinkedIn may offer less opportunity. Later on, we’ll discuss more about how to choose the best social media platforms for your company. Today’s marketing automation tools, like HubSpot, make email marketing more convenient than ever, allowing you to set up automated email sequences triggered by specific customer actions. These tools also allow for detail segmenting of your email list, so you can tailor specific email messages to specific types of customers. And even better: Unlike other marketing channels such as search engines and social media platforms where you are at the mercy of their updates and algorithms, YOU have complete control of your email list. Short of a customer unsubscribing from your list, no one can take your email reach away from you. 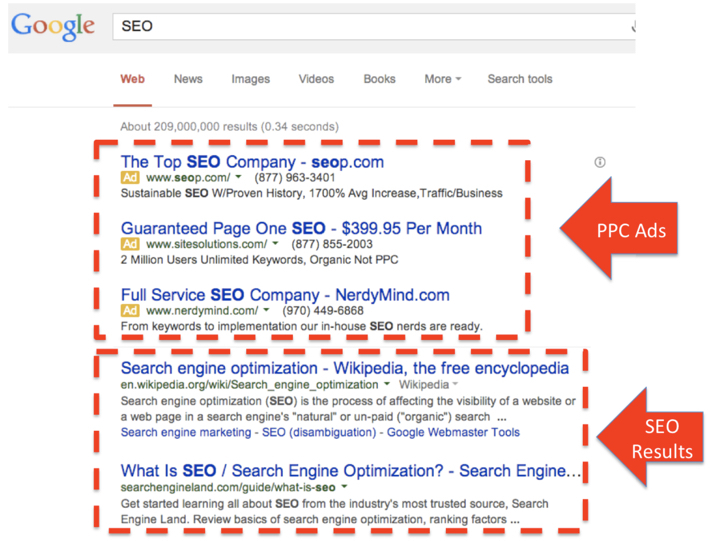 In a PPC ad campaign, you'll select specific keywords that will trigger your ads to appear in search results. You'll also be able to choose to have your ads target customers in specific locations, a process known as geotargeting. This is especially beneficial for businesses that serve customers only in certain areas. For example, a bicycle repair shop located in Boston might choose to create an PPC ad campaign focused on the keyword "bicycle repair," geotargeted only to customers who live in Boston zip codes. When developing a PPC program, it is critical that you closely track the cost to acquire each customer via these ads, as well as how much revenue that same customer generates for you. As you gather this information, you’ll likely find that you’ll want to experiment with your ads to garner the best, most cost-efficient results. Have you ever visited a website and seen an ad for a product or service not offered by the company hosting the ad? That’s display advertising. Unlike typical PPC ads, display ads frequently are visual, and are best seen as a tactic for raising awareness about your business. That’s because, unlike PPC ads that are shown specifically to correspond with a user’s search inquiry, display ads are something users “happen upon” while they’re intending to pay attention to something else. In the early days of digital marketing, display advertising could be something as simple as a website making space available to businesses that would like to promote their products or services to that website’s users. Today, it’s much more sophisticated. A technique called retargeting allows third-party ad networks to repeatedly show customers ads for products or services they have already expressed interest in by viewing content on the selling company’s website. For example, have you ever gone to a retailer’s website to check out a product for the first time, and then had that same product “follow” you around the Internet, with ads for it repeatedly popping up on unrelated websites you visit? That’s retargeting at work! Another option for B2C companies are native ads, which are designed specifically not to look like ads. 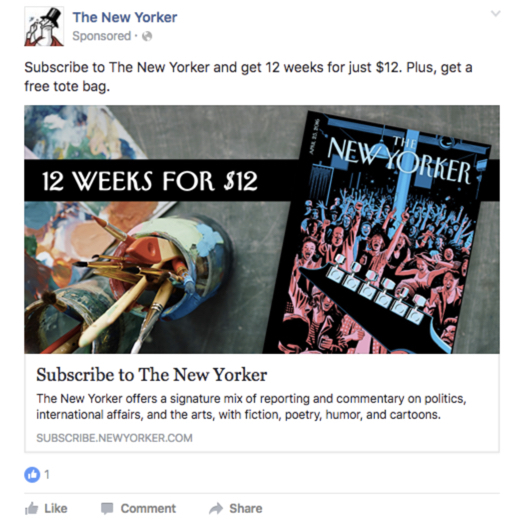 One common example of a native ad you likely have already seen is a sponsored ad on Facebook (see a sample below). In this ad, you can see the word “sponsored” underneath the business’s name, which indicates it is a paid promotion—but other than that, it is virtually indistinguishable from other natural, organic content on Facebook. And that’s what makes it a native ad. Data shows that native ads are better trusted by consumers than traditional banner or display ads. According to data gathered by HubSpot, native ads are viewed 53 percent more than banner ads, while 32 percent of consumers said they would share native ad with friends and family, versus 19 percent for banner ads. 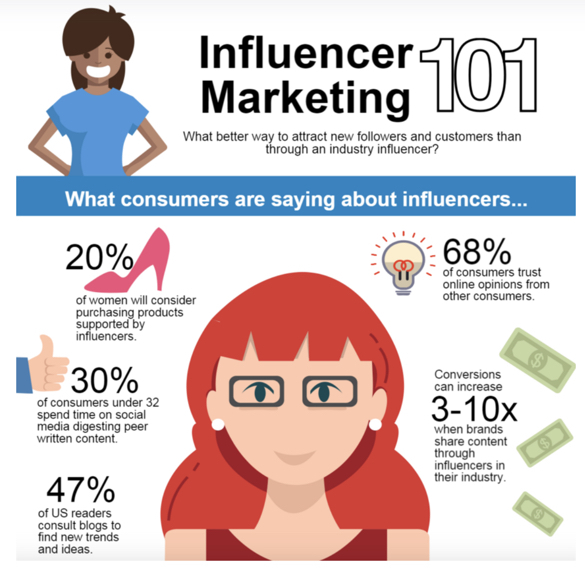 Influencer marketing is when companies develop relationships with individuals who have loyal audiences of their own, with the goal of promoting that business’s service or product. Because influencers have already done the hard work of earning the trust of their audience, this form of marketing can provide an authenticity that can be hard to match. It’s important to note that, in influencer marketing, a bigger audience does not necessarily mean a better audience. For example, if you’re a local restaurant interested in creating an influencer marketing campaign, you likely would be better off partnering with local foodies with decent followings, rather than a celebrity chef like Gordon Ramsay. It’s because with an audience as large as Gordon Ramsay’s, devoted as they may be, the majority of people you reach will never visit you (For one reason, the logistics of physical proximity will make it impossible). The local foodie, on the other hand? 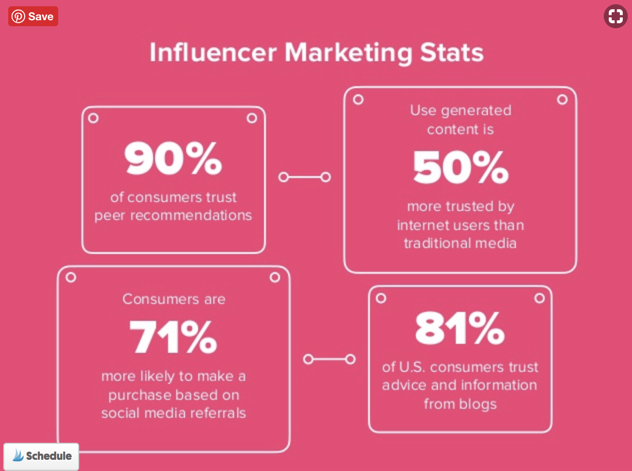 He or she meets multiple key criteria: an engaged audience that trusts the influencer’s recommendations, and that also is located in the right area for your business. Plus, your local foodie will be a lot more affordable than Gordon Ramsay, too. It’s very important to remember that an influencer’s credibility with their audience is paramount; if they recommend products that are off-brand or inferior, they risk quickly losing those followers altogether. When approaching an influencer campaign, carefully study their existing audience, the types of content they create, and other products or services they may have promoted in the past, among other things. If what you are offering does not align closely with their own brand and the type of value that they typically offer to their audience, do not be surprised if they turn you down. 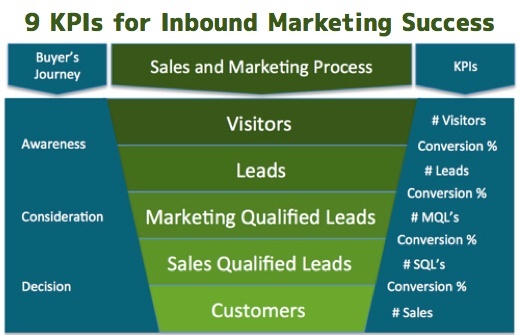 Inbound marketing is one methodology for implementing digital marketing, and is based on user-centric, permission-based techniques. It’s a methodology that brings customers directly to you, rather than you just promoting your business to them, as you may have done in the past with traditional advertising. 1. 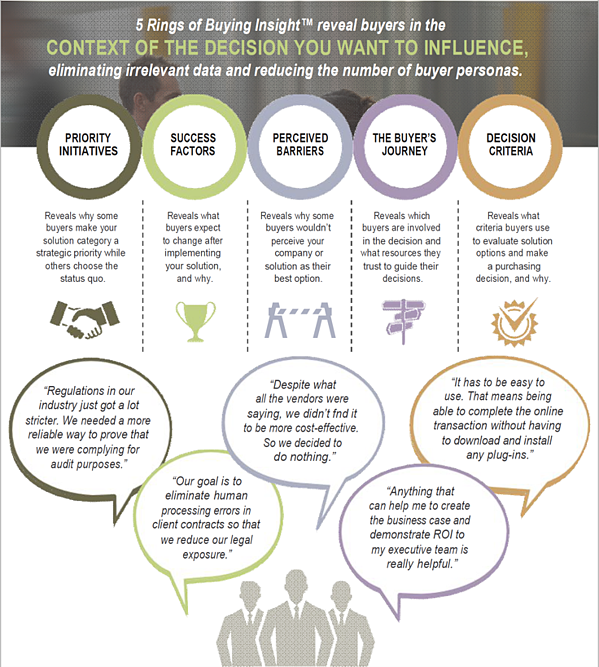 Develop a buyer persona. This is a profile of your ideal customer. We’ll cover creating a buyer persona more in depth in the section on building a brand with digital marketing below. 2. Understand your customer’s buyer journey. As shown in the graphic below, each customer follows a three-stage journey before making a purchase from you. In the awareness stage, customers have identified they have a problem, and are researching its root cause. In the consideration stage, customers now understand the cause of their problem, and are looking for solutions to solve it. By the decision stage, customers have researched various solutions to the problem, and now are evaluating specific products and services that can address the problem. In your inbound marketing strategy, you’ll want to create content that aligns with the customer’s needs at each stage of this journey. 3. Create a content marketing strategy. 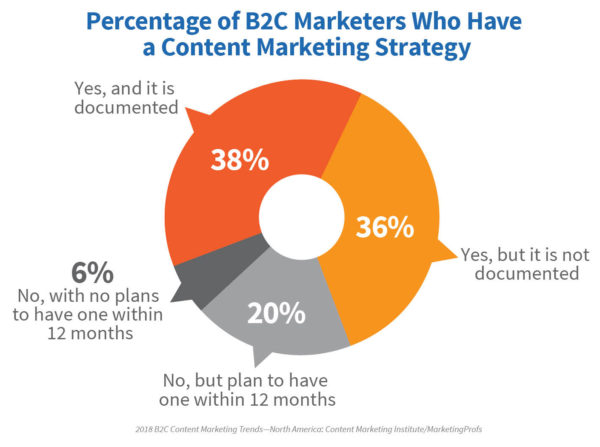 A final step in creating an inbound marketing plan is to develop your content marketing strategy, another component of digital marketing that we’ll explore now. I describe content marketing this way: If inbound marketing is the engine that drives customer acquisition, then content strategy provides the fuel that makes the engine go. With content marketing, you’ll be creating and distributing valuable, educational and relevant content to your prospective customers. 4. And lastly, includes targeted, consistent lead nurturing through email, social media, and other methods. In the simplest terms, chatbots and other live messaging opportunities are yet another way for customers to connect with you on their terms. (Do you prefer that customers call your customer service number during set hours for help with inquiries? Customers, quite frankly, don’t care—and will and do find ways around it). This form of digital marketing can be as simple as offering a live-messaging app on your website, so your customers can chat with you online in real time, very similarly to as if they were texting with you on the phone. More advanced messaging options are provided by AI-powered chatbots, which are programmed to automatically provide specific responses dependent on the exact questions they are asked—and as work in artificial intelligence continues to grow, you can only expect these technologies to become more sophisticated. Facebook Messenger, which offers businesses the ability to set up automated responses to customer inquiries, is one common way many users have already experienced interacting with messaging. 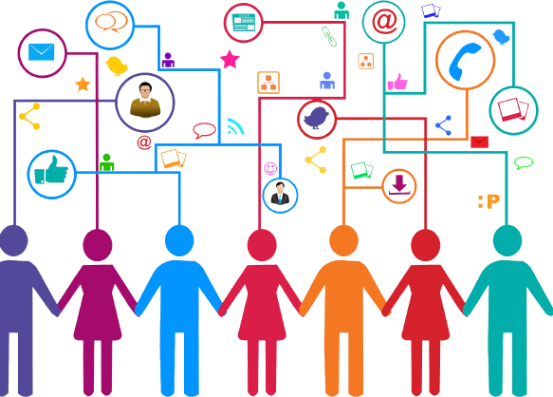 To have a successful digital marketing strategy, it is critical that you understand this: Each of your individual digital marketing activities cannot happen in silos; instead, they must be closely coordinated and integrated with each other. This is particularly crucial because, in today’s digital world, your customer is likely to interact with your business in a number of different ways online. Nor is this a linear process, as a prospective customer may move from one digital marketing channel to another and back again. For example, let’s say a prospective customer learns about your business from a recommendation by a friend on Facebook. Intrigued, the customer goes to your website to learn more about your company, and while there, reads a few recent blog posts. She likes the information you offer, and submits her email address in exchange for a downloadable ebook. Now that she’s on your list, she receives regular emails when new blog posts are published, and returns to your website again to read them. Notice how many different channels the customer travels through in her interaction with your company. All of these are an opportunity to create a strong brand. A few years ago, I traveled to Ireland and England on vacation. I love great beer, so as you can imagine, a visit to the Guinness factory in Dublin was definitely on the schedule. Being a student of all aspects of marketing, it was a great opportunity to fuel my beer passion and study one of the greatest brands of all time. When traveling in Ireland, you immediately notice the Celtic harp is everywhere—including on the Guinness sign and pint glass. That is because the harp is the national symbol of Ireland, dating to when English monarch Henry VIII declared himself King of Ireland in 1531. The harp was revered in Celtic culture (and all over Europe at the time). Scottish and Irish kings were even required to have their own resident harper, whose main duties were to accompany poetry recitations or the singing of psalms. With these powerful associations, it is no surprise that Guinness founder Arthur Guinness chose the harp to become part of his brand. Today, Guinness is one of the most widely recognized brands in the world. One of the uniquely recognized elements of the Guinness brand is the pour of each and every beer, its characteristic head, and, if you are lucky, a shamrock image on top of it. Guinness takes a different approach than most breweries, using nitrogen to provide the carbonation and head, while most beers use Co2. However, the time it takes to pour a pint of Guinness became an issue for the brand when selling to impatient Americans—so much so, that the company ran advertisements in 1998 emphasizing the importance of a good pour to bring out the flavor of the Guinness beer. And it worked: The campaign turned what was perceived as a negative into a positive, and helped the company create a loyal worldwide following. Today, the waiting time for a Guinness pour is not an issue. 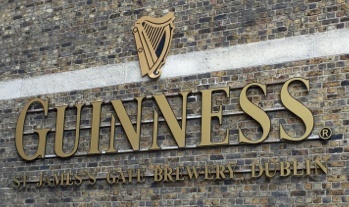 Guinness turned a product liability into an asset. Now, even other brands such as Samuel Adams offer beers with a nitrogen feed, while Starbucks sells a nitrogen-infused, cold brew coffee. The Guinness brand has lasted longer than most products we know of today. Why? It’s because the company has responded to threats creatively, and used marketing to turn product liabilities into assets. With the world’s shift to digital marketing in the time since that pivotal 1998 campaign, Guinness has found even more ways to engage with their customers, by leveraging platforms such as video, social media, and smartphones. They’ve even created opportunities for visitors to learn how to pour the perfect pint of Guinness themselves—how much fun does that sound? Take a few moments right now to think about how your own company is engaging with your customers and prospects. Are you addressing their problems? Are you creating fun ways for them to engage with your brand? Does your brand identity match your prospects’ perceptions of it? The nature of online content gives your business, like Guinness, a unique opportunity to connect with your customers, and even give them an inside look into your company in a way that is simply not compatible with traditional advertising and media. Do it well, and you can create not only individual fans of your products or services, but a community of evangelists devoted to your entire brand. As we know now, there’s a lot that goes into developing a successful digital marketing strategy, and I know it might seem overwhelming. But there’s good news: There are a series of concrete steps you can take to begin building your plan. First things first: You can’t talk to or attract your ideal customer if you don’t first know exactly who that person is. That’s where a buyer persona comes in. A buyer persona uses data, surveys, interviews and other research methods to develop a composite that represents your ideal customer. With a buyer persona, you’ll capture the basic demographics of your ideal customer, such as their age and income level—and a whole lot more. You’ll learn important information such as what their biggest concerns are, what factors most influence them in their buying decision, the reasons customers might think your product or service might not be the best solution to their problem, and more. As you’ve already seen, the list of digital marketing opportunities available to you is pretty exhaustive—and it really is OK if not all of them the right fit for you. 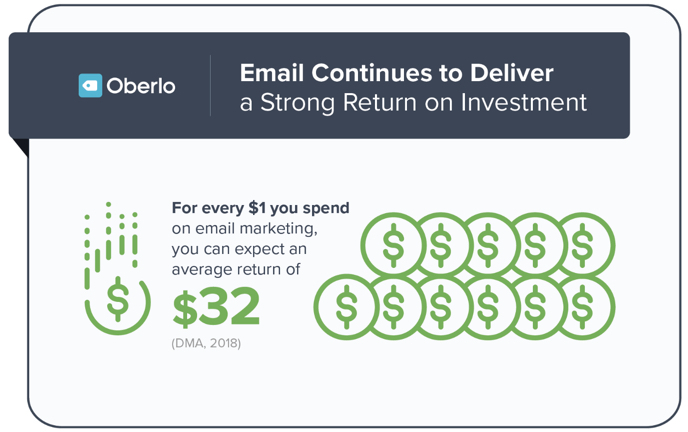 Depending on your type of business, you’ll find that some channels offer a better ROI than others (though I strongly recommend that email marketing always makes the list, regardless of the types of products or services you offer!). Once you’ve narrowed down your options, you’ll need to choose exactly how you’re going to take advantage of them—and the inbound marketing methodology is the best way to do it. With inbound marketing, you’ll bring your customers directly to you through targeted, custom content tailored to exactly meet their needs as defined in the buyer persona. It’s an especially effective strategy because it creates an online sales funnel that allows you to develop a relationship with customers that you can nurture via email marketing. 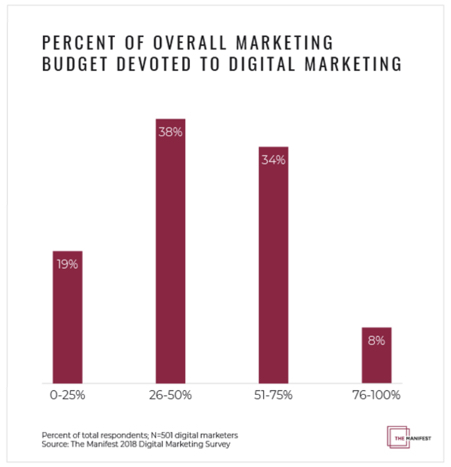 A successful digital marketing plan requires a thoughtful investment of both time and money. If your existing team does not have the necessary expertise, considering hiring freelance professionals or a marketing agency that can help with you with this. It is critical that all facets of your digital marketing strategy have a professional, polished presence. Yes, it is an investment—but if you’re going to create a thriving digital marketing strategy, it’s a necessary one. Your budget also will impact the channels and platforms that you will implement in your plan. For example, a business with a small budget may find PPC or display ads too expensive to start with right away, and instead choose to focus on creating quality blog posts and lead magnets to create their inbound marketing sales funnel. You’ll want to determine the KPIs for each of the digital marketing platforms you’ve included in your plan. Be sure to set targets for converting leads into customers, and identify the conversion rates for each stage of the buyer’s journey that we discussed above. It’s not enough to merely establish your KPIs—you’ll also need to measure and assess your results regularly, and for each platform. This allows you to refine tactics that are working well and reassess those that are not. Ultimately, it will help ensure that you’re making the most of every dollar. With digital marketing platforms, you’ll be able to generate this data and reporting with analytics tools available directly within each application. 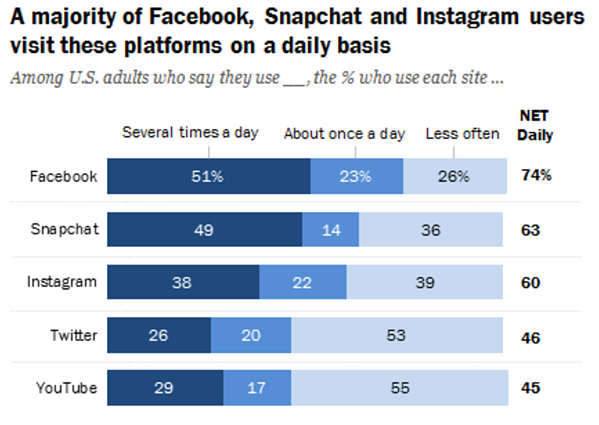 For example, social media platforms like Facebook, Instagram, and Twitter all offer businesses their own user data. And of course, there is the powerhouse that is Google Analytics, a tool that is available to be added to your website for free and which can provide incredibly granular information about your visitors. The immediacy of the digital world has created an environment where customers not only expect, but demand (whether they explicitly realize it or not)!, instant access to the information and resources they seek. To match these customer expectations, your digital marketing plan will require marketing automation tools that can deliver these results. Remember: Time is of the essence when a visitor completes a form on your website to download an ebook or other offer. Marketing automation tools like HubSpot that can respond to these requests instantly are essential to ensure a fast response that engages the visitor, while helping you to implement your digital marketing plan as efficiently as possible. Even though you’ve established KPIs for each of your digital marketing platforms that you’ll be regularly reviewing, you’ll still need to take a step back and review the performance of your entire digital marketing plan as a whole. Look at which platforms perform best and most cost efficiently in converting prospects into customers. You also should examine the results of each platform against one another to determine if there are particular sequences that provide particularly good results. For example, are prospects who sign up for email via a blog post vs. social media more likely to convert into a paying customer? Regardless of the type of business you have, digital marketing is important for you. Customers are educating themselves by searching for information online, and ignoring this reality is a mistake. Whether you choose to invest in digital marketing or not, your online digital footprint has an impact on buyer behavior (and in some cases, a lack thereof could even give prospective customers a negative impression). So why not take the opportunity to make a great impression? As a business owner, you already work hard. A digital marketing engine can do the same for you 24 hours a day, seven days per week, 365 days per year. If you haven’t implemented a digital marketing strategy already, it’s time to start one so you can supercharge your growth. You, and your business, deserve it.